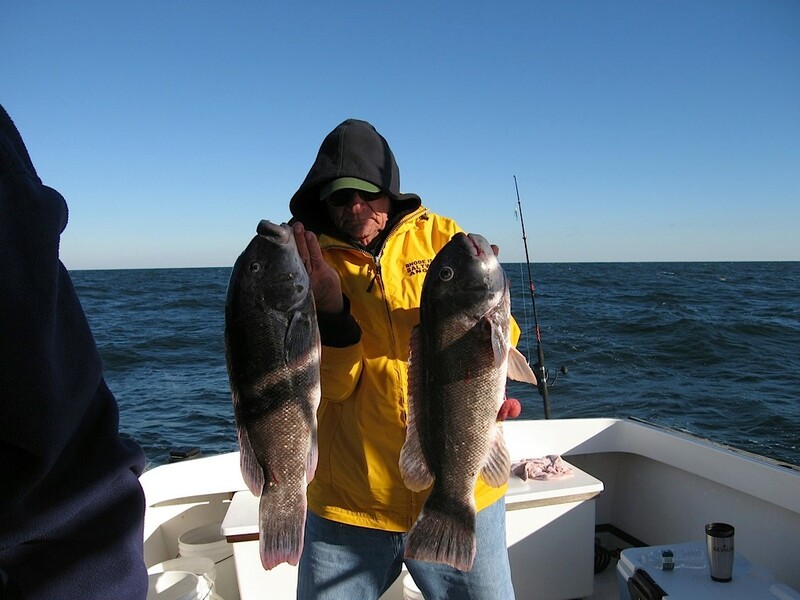 Our charter packages help customers target some of New England’s most popular fish, including striped bass, fluke (summer flounder), winter flounder, tautog, tuna, black sea bass, cod, bluefish, and scup. 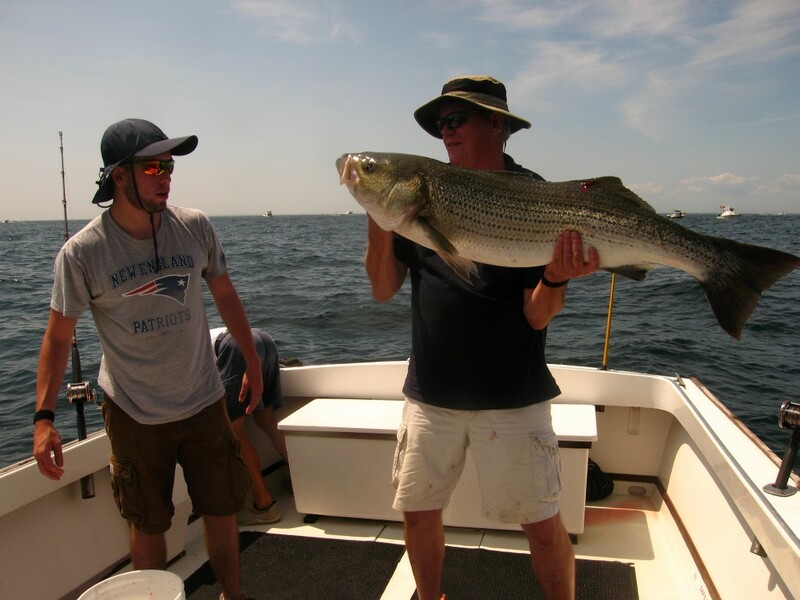 State-specific recreational fishing regulations are available in PDF format (courtesy of the RI DEM). Fish caught by customers belong to the customers, except for giant blue-fin tuna which will be kept and sold by the charter. One third of the proceeds (up to the cost of the charter) will be credited to the customer as a discount toward a future charter. Get a good nights rest before the charter. Avoid greasy foods and alcohol before sailing. Wear rubber soled shoes or fishing boots. Dress according to the weather and remember that it is easier to shed clothes than to put clothes on that you forgot at home. Bring sunglasses, sunscreen, food & drinks. Passengers should consider their own unique food, clothing, and sea-sickness requirements while planning their charter and come to the dock fully prepared for a day at sea. In cases of extreme weather, the Captain may deem it necessary to cancel a charter trip prior to departure. We understand how disappointing this can be, so we always try our best to reschedule or return your reservation deposit. *All other cancellations must be made at least 14 days before the reservation date for customers to be refunded their deposit. Our main concern is for the safety of our customers, which requires our alcohol policy be amendable at the Captain’s discretion. Generally, passengers of legal age are permitted to bring and to responsibly consume alcohol (beer and wine only) during charter trips. Other alcohol (e.g. hard liquor or mixed-drinks) and any recreational drugs are prohibited.